Sennelier Half Stick Sets are an amazing value! The sticks themselves are chubby chunky pieces. They are actually larger than if you where to cut a Sennelier full stick pastel in half- they are just half of the length of the regular sticks. You get more color for your money! It is a terrific way to get started or to add to your existing palette. This set includes 80 colors that have been chosen for landscape painting. 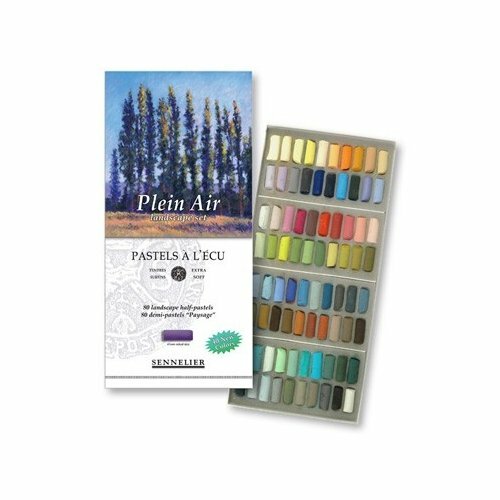 The half stick format allows you to take a lot of color with you outside; for plein air painting.